A dear friend and remarkable woman died this month and we felt the need to share her story, a small part of it, with all of you. Joan Reinke Robles, Aunt Joan, was a most amazing woman. She died at age 90 in Tucson. The circle of her life intersected with ours in just one, significant point but that was enough to make her our friend forever. Joan was a fashion model, police officer, social worker, book seller, juvenile probation officer, and you might even be able to call her a Beatnik. It was her role as a police officer that ended up bringing her into our lives. In 1952, she became the second female officer hired for enforcement duties, for the city of Tucson, Arizona. 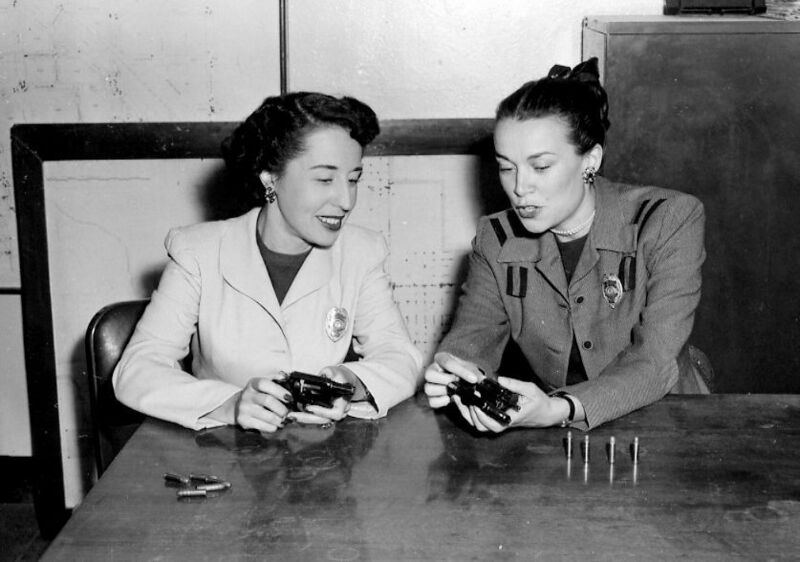 She partnered with the first female officer, Alice who would become my mother-in-law and they became known as “The Suede Slipper Cops.” They patrolled the streets of Tucson in plain clothes because they never got around to getting uniforms. None were available for women at that time anyway. The department used them for duties they saw fit for women; juvenile delinquents, flashers, and sexual assaults. At a reunion a few years ago, I heard plenty of stories of Joan and Alice on patrol (Joan playing the ukulele while Alice drove). Joan left the department and moved to San Francisco, living in an apartment on Telegraph Hill with a view of the bay. Her circle of friends included artists, musicians, and poets from the area in the Beatnik era. She returned to Tucson, married George Robles (Uncle George), who was then a lieutenant on Tucson PD. The two strong personalities were not to be married and they divorced, but stayed near each other and had some kind of contact almost every day. Joan became a book collector, specializing in Southwest Americana. Her home became an amazing museum of her life, with artifacts from her travels around the world and her many careers. 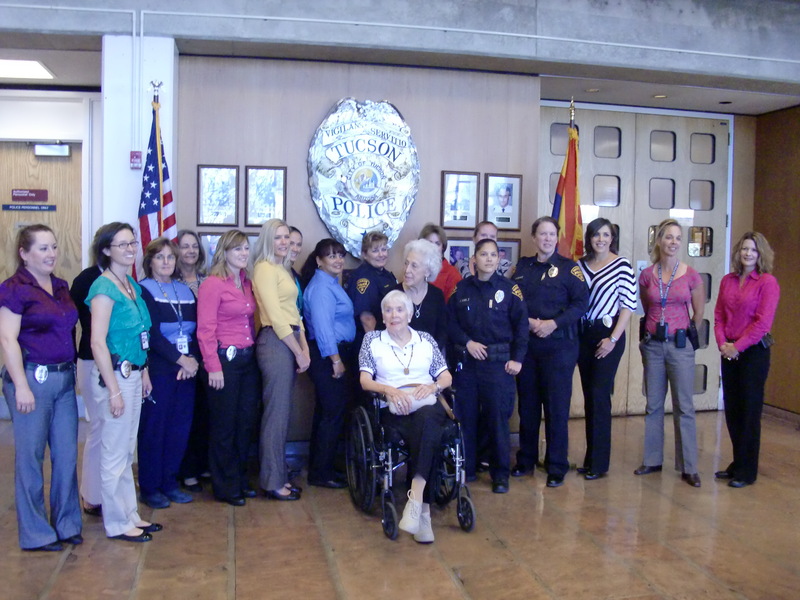 In 2013, Spider, Bubba, and I reunited Joan and Alice and brought them to Tucson PD where they were greeted by many of the current female officers who thanked them for paving the way. Joan was a true “class act” and she will be missed by all whose lives she touched.